Live from Chicago ... 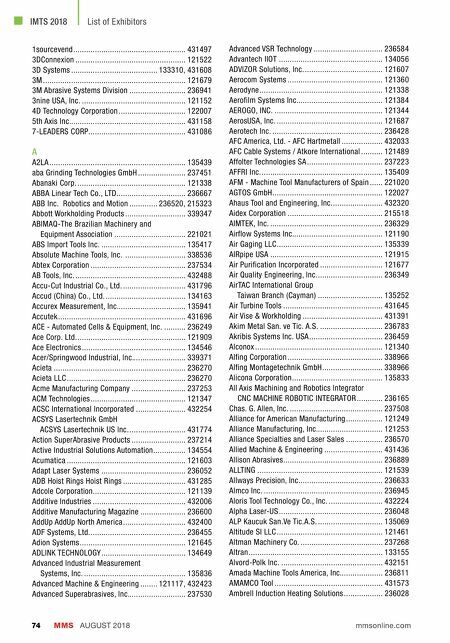 THANK YOU TO OUR SPONSORS The Industry news and talk show broadcasts year-round and will come to you directly from the show floor, 24 hours a day for the entire show. 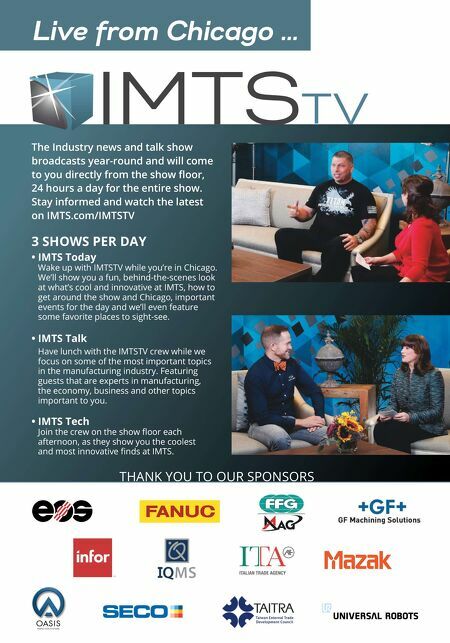 Stay informed and watch the latest on IMTS.com/IMTSTV 3 SHOWS PER DAY • IMTS Today Wake up with IMTSTV while you're in Chicago. We'll show you a fun, behind-the-scenes look at what's cool and innovative at IMTS, how to get around the show and Chicago, important events for the day and we'll even feature some favorite places to sight-see. • IMTS Talk Have lunch with the IMTSTV crew while we focus on some of the most important topics in the manufacturing industry. Featuring guests that are experts in manufacturing, the economy, business and other topics important to you. • IMTS Tech Join the crew on the show floor each afternoon, as they show you the coolest and most innovative finds at IMTS.